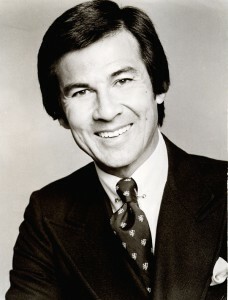 WEST HILLS — Funeral services were pending on Monday for Mario Machado, the first Chinese American newscaster in the Los Angeles market and an eight-time Emmy winner. Machado died Saturday at the age of 78, friends announced. Machado also hosted an experimental KNXT program called “It Takes All Kinds,” and his producer, Joe Saltzman, said it was the first broadcast portrayal of gays and lesbians as normal people. “Mario was very easy to work with and appreciative of good writing and production,” Saltzman said. A star collegiate soccer player, Machado was the play-by-play announcer on the CBS’ North American Soccer League telecasts in the late 1960s and 1970s. He also hosted weekly “Star Soccer” telecasts on the Public Broadcasting Service from England. In Spanish, he also hosted a weekly soccer roundup on the Spanish International Network (now Univision). Machado helped found the American Youth Soccer Organization and is a member of its Hall of Fame. He was a strong supporter of allowing girls to play in the league, family friend Barbara Begyud said. He was affiliated with such events and organizations as Nisei Week, Lotus Festival, Asian American Journalists Association, and Association of Asian Pacific American Artists. Actor Rodney Kageyama shared this remembrance of Machado: “He was the first Asian American celebrity I remembered in broadcasting, a pioneer in the field, as was Sumi Haru. He was very personable interviewing people, looking you straight in the eye as if you were the most important person at the moment. And with a very charismatic smile. In recent years, Machado gathered oral histories from people who left China after the Communist revolution, and was a co-founder of the “Old China Hands Archives” at Cal State Northridge. Machado’s wife, the former Marie Christine D’Almada Remedios, died several years ago, Begyud said. He is survived by their four children: Brian, Michelle, Dennis and Andrea.